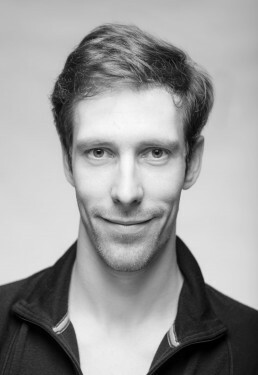 German born, Christian Bauch is a First Soloist with the Semperoper Ballett and trained at the Palucca Schule Dresden. Throughout his career Christian has also been a member of Staatstheater Mainz / Ballettmainz, Focus Dance Compan, Theater Chemnitz. His repertoire includes roles such as Don Quixote in Don Quixote and Drosselmeier in The Nutcracker (Aaron S. Watkin/Jason Beechey after Marius Petipa), Lord Capulet in Romeo and Juliet (Stijn Celis), King Mark in Tristian und Isolde (David Dawson), Impressing the Czar, Quintett (William Forsythe). Additionally, throughout his career he has been involved in numerous creations and Principal/Soloist roles in works by Kenneth Macmillan, Jiří Kylián, Mats Ek, Johan Inger, Ohad Naharin, Alexander Ekman, Stijn Celis, Jacopo Godani, Pascal Touzeau and Douglas Lee. He has also appeared in several international ballet galas such as Roberto Bolle and Friends in Italy, World Gala Seoul Korea where he performed Reminiscence (Craig Davidson) and Les Hivernales de la Danse in Belgium.